Experienced health care leader Erik “Rik” Baier, CMPE, has been named president of St. Peter’s Health Partners Medical Associates (SPHPMA). The appointment is effectively immediately. In this role, Baier will provide leadership and strategic direction for SPHPMA, one of the Capital Region’s largest multi-specialty physician groups, with more than 350 physicians and advanced practitioners at more than 80 practice locations. SPHPMA is an affiliate of St. Peter’s Health Partners (SPHP). Baier had been serving as interim president of SPHPMA since July 1. He first joined the organization in December 2017 as chief financial officer. Prior to joining SPHPMA in 2017, Baier served as president and chief executive officer of Presence Medical Group, a 300-provider medical group in Chicago, and a part of the Presence Health System. The group offered 15 specialties at more than 90 locations across the Chicago area. Before that, Baier served for five years as vice president and chief financial officer at Adventist Health Partners, a large multi-specialty group and part of a four-hospital, integrated delivery system in Chicago. Additionally, Baier served for five years as chief operating officer of DuPage Medical Group, a 300-physician multi-specialty group outside Chicago. Earlier, he served in a number of leadership and management roles at systems and practices in and around Chicago. Baier received a bachelor’s degree in business administration and accounting from Augustana College in Rock Island, Illinois, and a master’s degree in hospital and health administration from the University of Iowa in Iowa City. Engaged with professional associations, Baier is a Certified Medical Practice Executive. He is a member of the Medical Group Management Association, American Medical Group Association, and Illinois Medical Group Management Association. 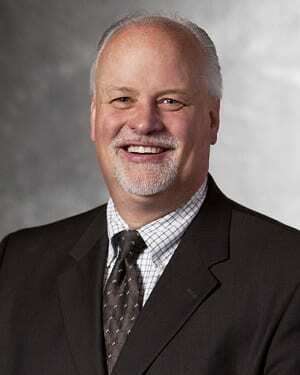 He is a past president of the IDX Midwest Regional Users Group, and past board member of Giving DuPage. Headquartered in Albany, SPHPMA represents more than 30 specialties and has offices and affiliates in the counties of Albany, Columbia, Montgomery, Rensselaer, Saratoga, Ulster, and Warren. The SPHPMA Board of Directors is comprised of 13 practicing/employed SPHPMA physicians – seven of whom are primary care physicians, reflecting almost a 50:50 representation of primary care and specialists. SPHPMA is dedicated to inspiring hope and contributing to health and well-being by providing the best care to every patient through integrated clinical practice, research, and education.